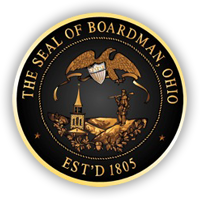 The Boardman Zoning Commission is a recommending body consisting of five members appointed to five-year terms by the Boardman Township Trustees. The Zoning Commission acts upon recommendations of the Mahoning County Planning Commission and forwards recommendations to the Board of Trustees regarding text amendments to the Zoning Ordinance and rezone requests from property owners. A legal notice is published at least 10 days before the hearing of the Zoning Commission. All hearings are open to the public. Before the Boardman Zoning Commission may act on a zone change, the Mahoning County Planning Commission (MCPC) must have given a recommendation regarding same. All Meetings are held at 5:30 PM at the Boardman Government Center, 8299 Market Street.